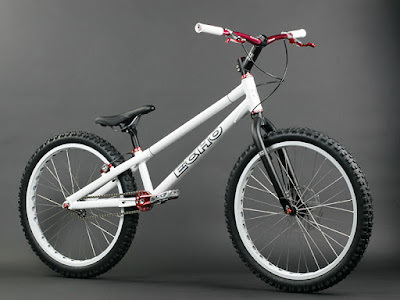 You have just got to check out Echo Bikes' newly updated bikes! For one thing, they have consolidated all their trial bikes into the Echo Bikes' website. Adamant, Zoo, Gu and Echo trial bikes are all under one site! Another big surprise (at least for me), was the release of the 24" Urban Street trial bikes! Echo Urban Street 24" trial bike. 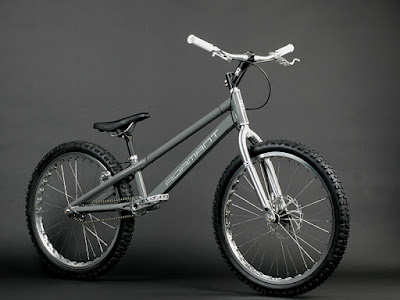 Adamant Urban Street 24" trial bike (grey). 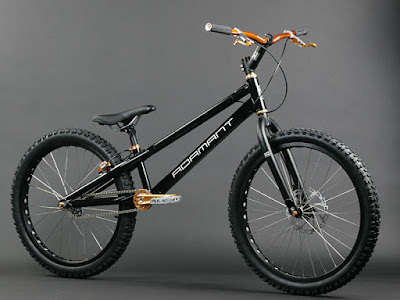 Adamant Urban Street 24" trial bike (black). Dun they just look beautiful? Begging to be ridden? Personally, I have not tried a 24" before. I am so damn curious how it would ride like. For the Adamant and Echo Urban Street trial bikes, except for the frames, all other parts are combination of Echo SL and TR series parts and components. Anyway, the SL Series are supposedly to be made of higher grade materials and lighter, which translate to more expensive... LOL. So far, I could not find any videos on the 24" bikes. I guess they are still new to the market. Let me know if you come across any. Appreciate it.